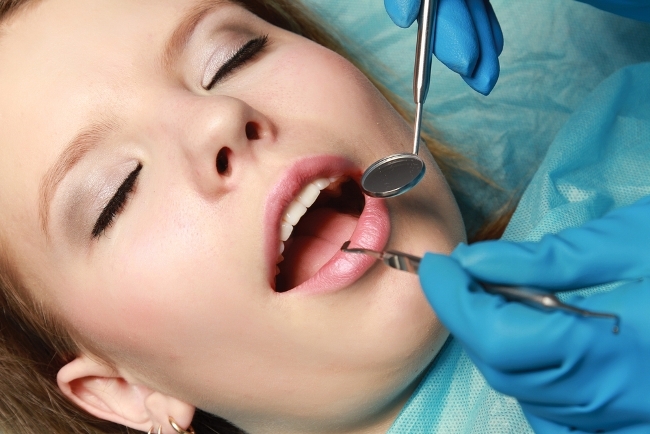 Sedation dentistry is the term used to describe sedating a patient while undergoing dental treatment. Various medicines are used to either simply relax a patient, move a patient to an almost unconscious state or make them totally unconscious. Who Benefits the Most from Sleep Dentistry? Before the procedure, the nurse anesthetist or anesthesiologist will review your medical history to determine whether you are an appropriate candidate for sedation and ask about any medications you're currently taking. You will only be given an appropraite dose of the sedative for your age and health, recommended by the FDA. You will receive a form detailing the risks of the procedure. It will be reviewed carefully with you by the treating nurse anesthetist or anesthesiologist. The nurse anesthetist or anesthesiologist will monitor your vital signs during the procedure. Artificial ventilation and drugs that reverse the effects of sedation on hand in case you need them.